For your commercial properties that require unique angles and industrial grades of paint, utilizing our commercial painting services can be beneficial and more efficient. We employ a warehouse of the market’s best industrial-grade paints, along with painting tools that are designed to get in those hard-to-reach areas where traditional painters may otherwise fail to reach. We have a variety of painting techniques that are used to create the desired look you’re anticipating in your commercial property. 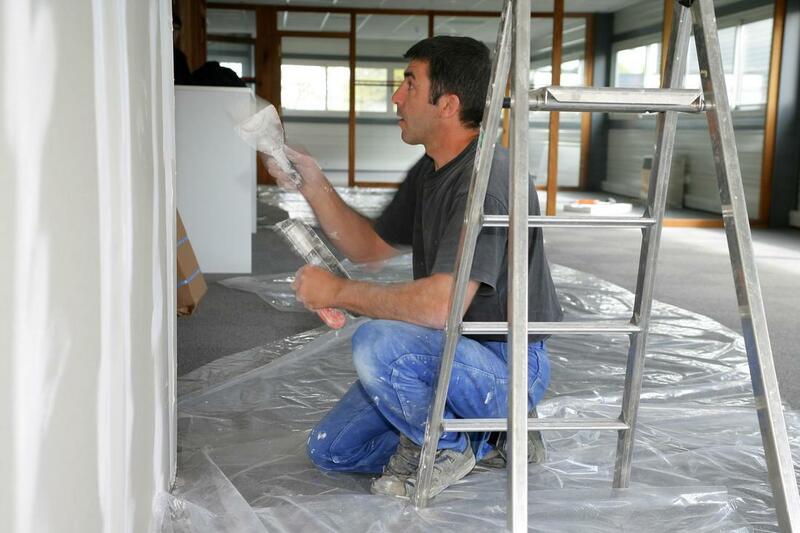 Since many commercial properties require larger quantities of paint, painters, and tools, we’ve managed the expectation and have been able to employ these needs. We’re prepared to take on large-scale projects that require more man power and tools. With these, we offer our team of highly trained, professional painters that have specialized in the painting industry with our unique range of painting tools. They’re more than qualified to take on large projects and feel comfortable completing them in a given amount of time. With our commercial painting services at Midland Paint Pro, you can be sure that you’re getting nothing less than quality and durability. We’re continually setting the bar for what it means to have a durable paint job, especially in a space that sees frequent visitors and heavy foot traffic. We understand that you want your commercial space to be warm and welcoming and offer your infrastructure a protective layer that complements your business. We have a variety of paints that are catered to the specific needs each of our clients desire, from waterproof and stain-proof, to fire-retardant and easily cleanable. With our commercial painting techniques and products, your surfaces are guaranteed to last many years all while maintaining a beautiful finish. Many commercial properties require paint that is stain-resistant, inside and out. If the paint is being used for outdoor use, it is important that it does not succumb to weathering and outdoor elements such as rain, snow, mold, or other damage. If the paint is being used inside, it is important that it does not easily chip, scratch, and flake over time to maintain its aesthetic. We use a high quality and resolution of stain-resistant paints that are designed to combat all of these elements as potential damage. If a stain or staining agent happens to come in contact with the paint, it can easily repel it or make for an easy cleanup. Not only are our commercial painting techniques and products durable and stain-resistant, they’re also protective of your walls and surfaces. Our paint and painting techniques are created to be versatile, meaning they can be used for multiple surfaces as protective agents. While paint itself is unable to combat structural damage, it is able to repel stains from penetrating the drywall beneath it. This comes in handy for commercial properties with visitors, stores, or uses where food and beverage are inevitable and can potentially ruin a wall or other surface. Quality paint protects surfaces from becoming stained or dirtied.